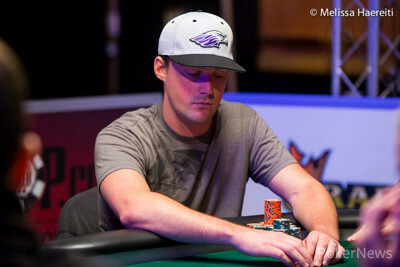 Hand #124: Ted Driscoll opened to 355,000 and Eric Baldwin called from the big blind. 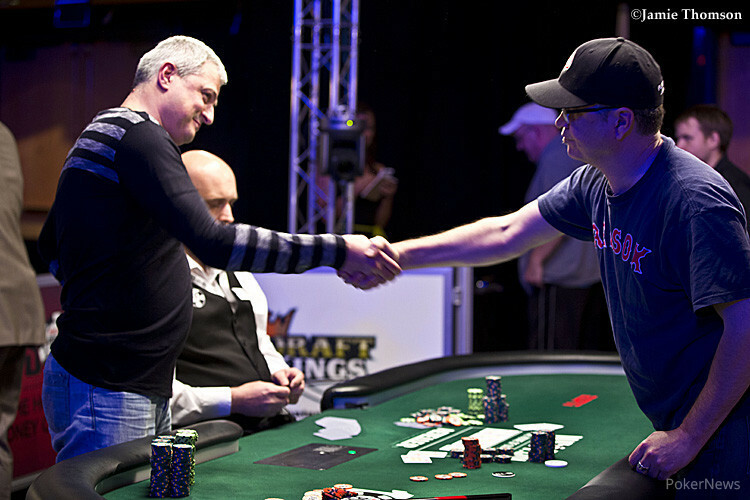 The flop came and Baldwin check-folded to a 380,000 bet from Driscoll. Hand #125: It was folded to Baldwin in the small blind and he moved all in. Brandon Eisen looked at his cards and immediately called. Baldwin had and was in bad shape against Eisen and his . The flop of kept Eisen in the lead. The turn was the , meaning only one of the two remaining deuces would keep Baldwin in the tournament. The river was the , though, and Eisen's set of queens was enough to send Baldwin to the pay out desk to receive his $156,352 prize for finishing in fifth place. Baldwin gave each of the remaining four players a hand shake while Eisen's rail chanted his name loudly. A small fist pump from Eisen let them know he heard them.